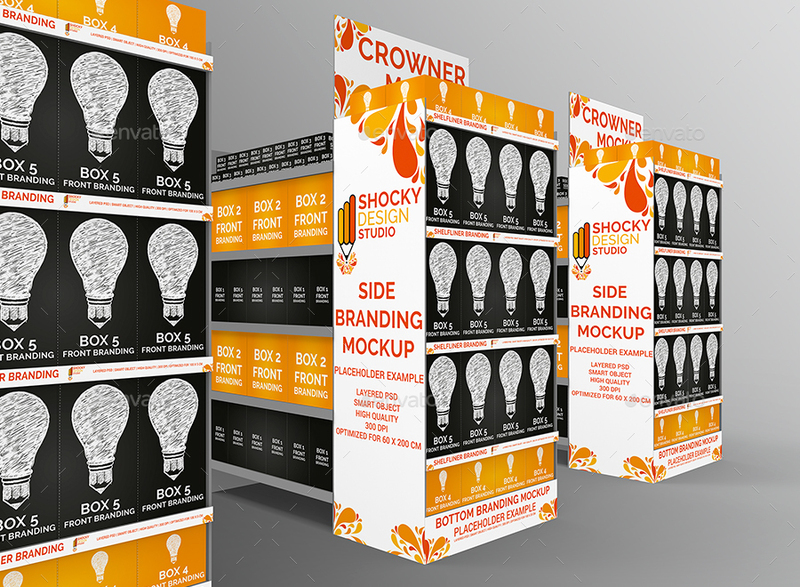 Aisle with Gondola Store Branding Mockup is a set of 5 professional mockups on a studio background, created with a 3D model of a classic store aisles with gondolas. 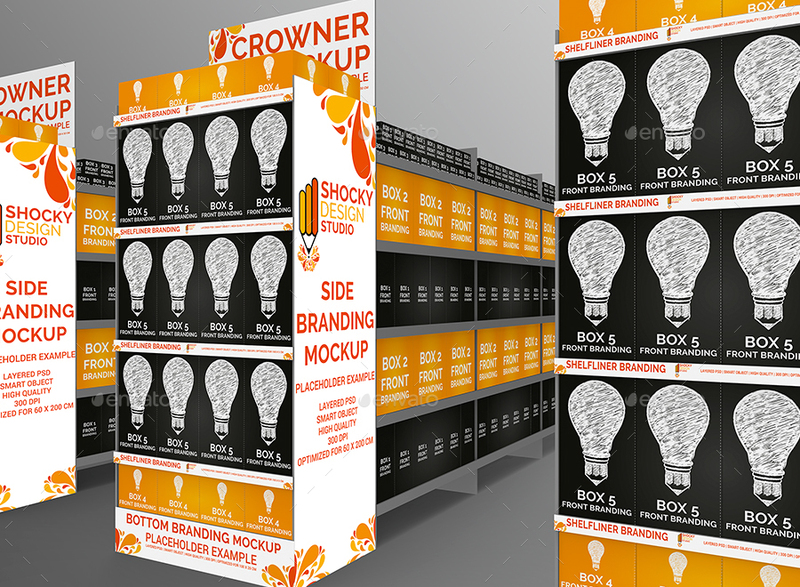 Aisle with Gondola Store can be used as a solution for wholesale, special offer promotions and marketing campaigns. 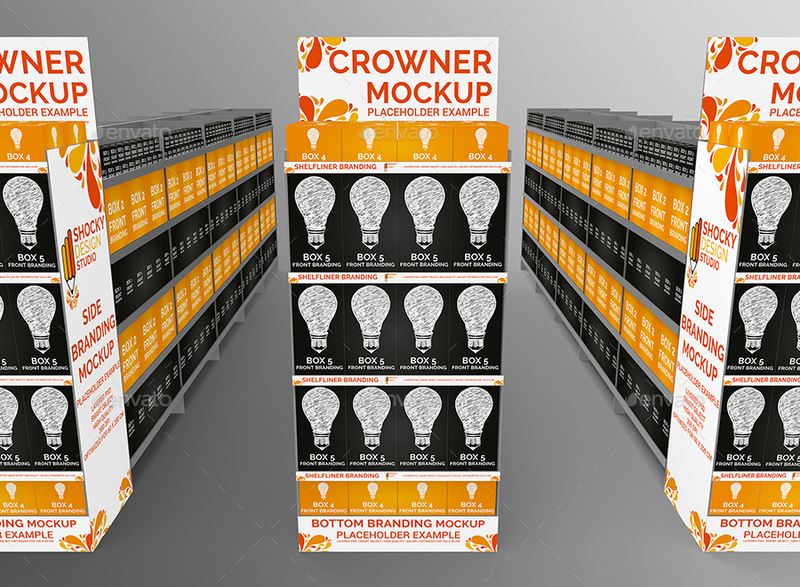 This is a great tool for creating your mockups and presenting your various marketing campaigns, as well as in store marketing. 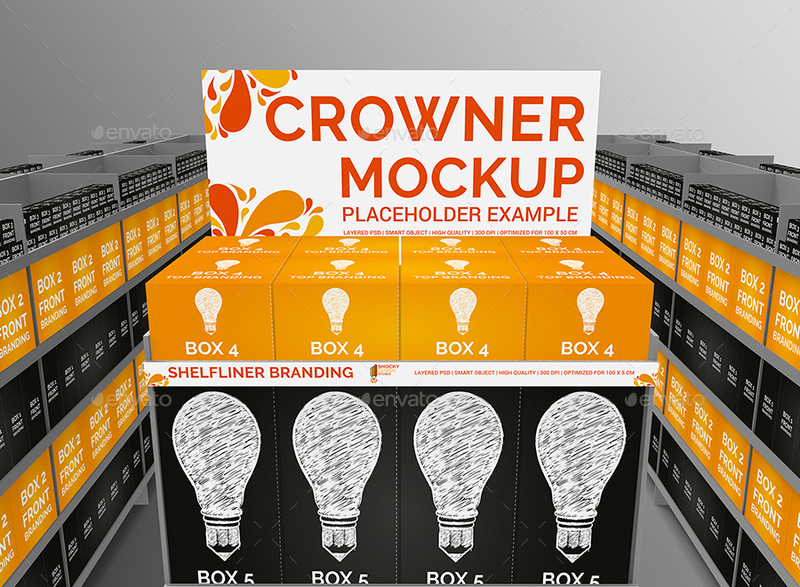 You will get 5 high resolution mockups, with option to leave the shelves stocked or empty in 5 different perspectives. This download includes 5 high resolution Photoshop files. Photoshop files are fully layered and easy to use. One click change. 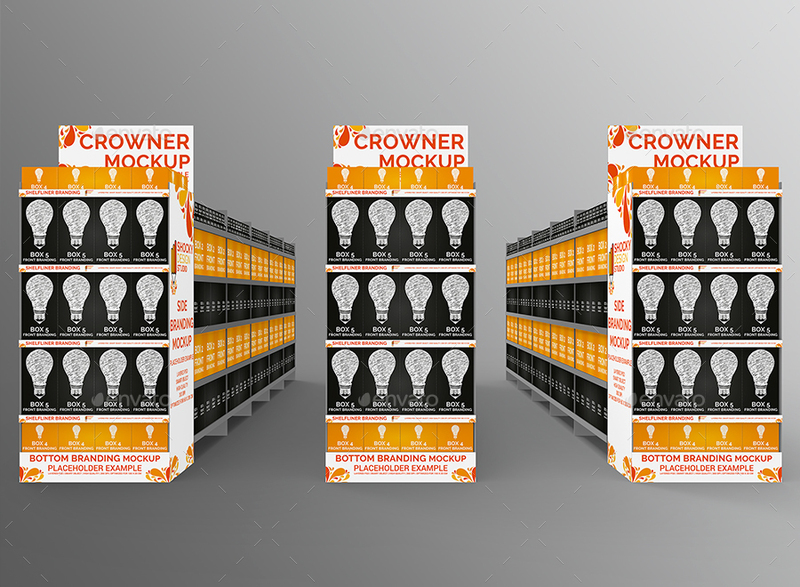 DISCLAIMER: DESIGNS used for MOCKUP previews are NOT part of the DOWNLOAD PACKAGE. They are for illustration purposes only.